Using the most advanced fibre innovation, SmartStrand Forever Clean Delightful Charm offers the highest level of beauty, comfort and performance available. SmartStrand Forever Clean is the first carpet to combine built-in stain protection with the Nanoloc spill protection for quick and easy clean up making it perfect for families with kids and pets. SmartStrand Forever Clean Delightful Charm features twist fibres designed to minimise footprints and reduce pile reversal shading and fibre shedding. New Nanoloc spill protection technology allows for quick and easy clean up, making SmartStrand Forever Clean Delightful Charm the perfect carpet for families with kids and pets. 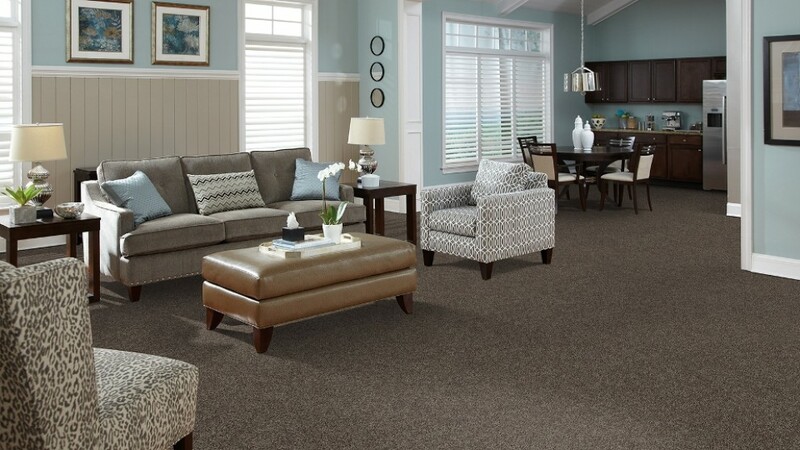 Permanent built-in stain and soil protection combined with exceptional durability means you'll be enjoying your Delightful Charm Carpet's beauty and style for years to come. The SmartStrand Forever Clean Carpet is made in part with annually renewable plant-based materials, so you can have a clear conscious when buying this Carpet. Each carpet fibre will perform differently when exposed to different ways of life, so it’s important you choose the right one for you. Follow our guide to finding which carpet fibre will provide you with the best performance! Choosing the right carpet colour, texture or pattern is where the fun begins. Something as simple as a solid colour can really expand the size of the room, with the use of lighter colours rather than a complex pattern you’ll be able to open up those small spaces in your home! Whether you’re looking for that luxurious soft feel, something more eco–friendly or being precautious of those allergies, there are some things you need to take into consideration. Making sure the carpet is right for your pets, with high stain resistance for kids, is crucial when selecting the perfect carpet for your lifestyle. In just 4 steps, we’ve made it easy for you to get the right carpet installed that fits your lifestyle. It’s not just about the style and colour, but choosing your carpet underlay is just as important as choosing the carpet itself. Our guide will help you make the right decision and have the perfect carpet for you fitted in no time! How quickly do you need your new carpet? Do you have children? Pets? What made you opt for a new carpet? Spend a few moments following these simple questions to finding you the perfect carpet for your home!